One of only two cities in Nevada that prohibits gambling, Boulder City might not offer the bright lights and ringing sounds of slot machines and gaming tables, but it does provide a wealth of other attractions, activities, and entertainment for the whole family. From exhilarating helicopter and hang gliding trike bike rides over Hoover Dam, the Black Canyon, and spectacular Lake Mead to learning more about the history of the region, tasting some of the area’s best craft beers, and dining out in style. Adrenalin lovers can take to the skies on skydiving adventures or go on off-road desert excursions, while visitors who want something less exciting can explore rock art panels in the Sloan Canyon National Conservation Area. Hoover Dam is colossal concrete arch-gravity dam in the Black Canyon on the Colorado River that was constructed during the Great Depression between 1931 and 1936. 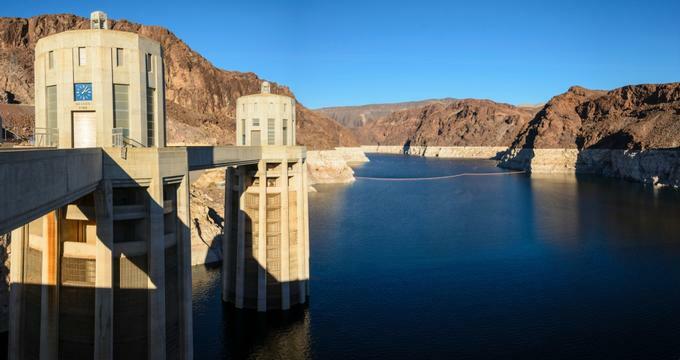 Formerly known as Boulder Dam from 1933 and dedicated by President Franklin D. Roosevelt in 1935, the dam was officially renamed the Hoover Dam by a joint resolution of Congress in 1947 after President Herbert Hoover. 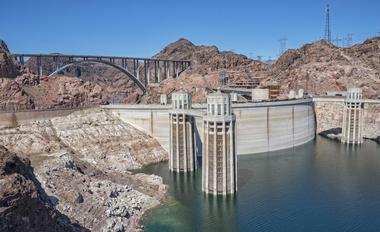 The Hoover Dam impounds Lake Mead, and the dam’s generators provide power for public and private utilities in Nevada, Arizona, and California. 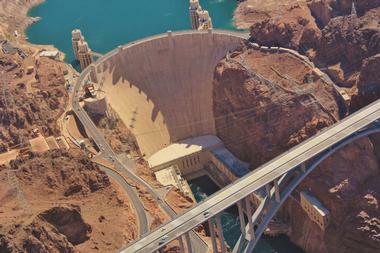 Hoover Dam is a major tourist attraction and sees almost a million visitors every year. The Boulder City/Hoover Dam Museum is a small museum dedicated to telling the story of the Boulder Canyon Project, the development of Boulder City, and the brave men and women who survived the desolation of the hostile Southern Nevada desert to construct the Hoover Dam and Boulder City during the Great Depression. 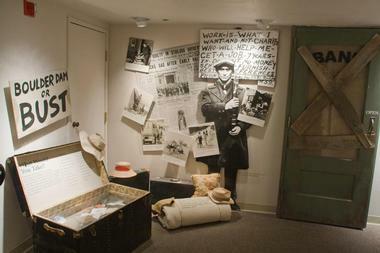 Located on the second floor of the historic Boulder Dam Hotel, the museum features a variety of interactive three-dimensional displays and exhibits that chronicle the history of the city from the 1929 Stock Market Crash and Great Depression to the monumental Boulder Canyon Project and construction of the Hoover Dam. Exhibits feature diary pages, dioramas, documents, and oral histories from the people who lived and worked on the project along with multimedia displays, soundscapes, and videos. The museum is a favorite stop for visitors en-route to see the gigantic Hoover Dam. Experience the stark beauty of the Mojave Desert on a ziplining tour with Flightlinez Bootleg Canyon. Tours are available with four different zip lines, and visitors travel over 8,000 feet across the desert and down the Red Mountains in Boulder City at speeds of up to 60 miles an hour. 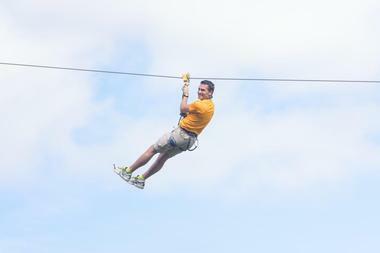 Tours include some moderate hiking to the first zipline and last around 3 hours, and all safety equipment is provided, such as harnesses and helmets. While enjoying adrenalin-rushing ziplining adventures, visitors will soak up the breathtaking scenery of the desert around Boulder City as well as catch glimpses of local fauna and flora as they fly through the air. The Goatfeathers Emporium is a quaint store in the heart of Boulder City that sells a variety of antique, handmade, eclectic, retro, vintage, and unique collectible items. Located at 1300 Wyoming Street, Goatfeathers Emporium is based in an 8,000-square-foot industrial art deco-style building that once housed the Boulder City Laundry and Cleaners. 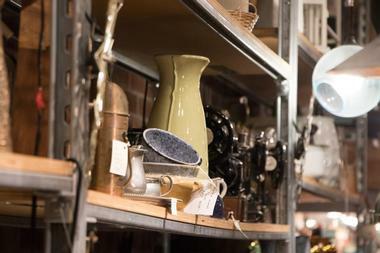 The store takes visitors on a journey back in time as they stroll through the aisles, which are packed with beautiful jewelry, handcrafted trinkets, vintage clothing, eclectic bric-a-brac, retro furniture, and one-of-a-kind objects. The Goatfeathers building boasts several colorful murals painted by local artist Connie Burnett-Ferraro. 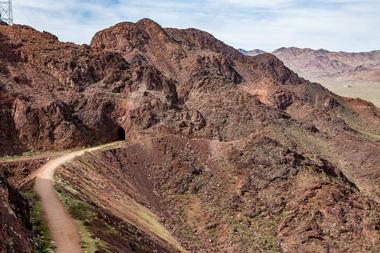 One of Southern Nevada’s unique trail experiences, the Historic Railroad Trail is dog-friendly hiking trail along a former railroad grade with breathtaking panoramic views of the Lake Mead and Boulder Basin area. Designated as a national recreation trail, the 7.5-mile Historic Railroad Trail shares the rich history of the creation of Lake Mead and the construction of the Hoover Dam and winds through five massive tunnels, each approximately 300 feet in length and 25 feet in diameter, and along a portion of the original railroad route that was used between Boulder City and the Hoover Dam in the mid-1900s. The Mike O'Callaghan–Pat Tillman Memorial Bridge, also known as the Hoover Dam Bridge, crosses the Colorado River between the states of Arizona and Nevada and is world renowned for its impressive feats of engineering. The 1,500-foot-long four-lane highway bridge rests 890 feet above the Colorado River and is the second-highest bridge in the United States. It also features the world's tallest concrete columns of their kind and is the highest and longest arched concrete bridge in the Western Hemisphere. 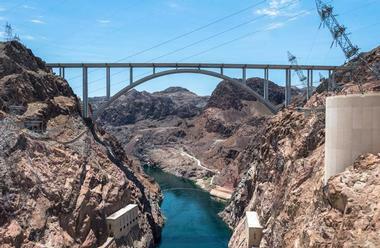 A major commercial route between the states of Arizona, Nevada, and Utah, the bridge is named after former Governor of Nevada, Mike O’Callaghan, and professional football player, Pat Tillman, who dedicated themselves to public service and the greater good. The Sloan Canyon National Conservation Area is a 48,000-square-acre nature preserve and National Conservation Area south of Las Vegas. 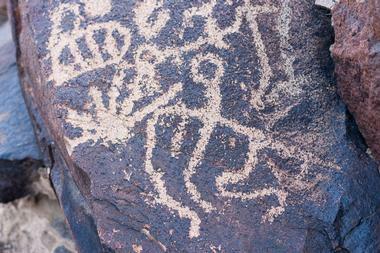 The area is renowned for featuring the Sloan Petroglyph Site, which contains a plethora of petroglyphs and has been called the Sistine Chapel of Native American rock art. The site boasts more than 300 rock art panels with more than 1,700 individual design elements dating back to the Archaic era. The Sloan Canyon National Conservation Area also features several trailheads, including Dutchman Pass (Mission Hills) on the east boundary, Quo Vadis on the eastern border, Hidden Valley on the west southern border, Petroglyph Canyon on the western boundary (South of Inspirada), Shadow Canyon on the western boundary (Inside Solara), and Anthem Hills on the northwestern boundary (South Anthem). The Nature Discovery Trail and Rock Garden is located in a beautiful municipal park in Bootleg Canyon and offers a fantastic place to spend the day with the family. The paved walking trail features colorful rock gardens and giant statues of desert animals, including a giant jackrabbit, a scorpion, a horned lizard, a roadrunner, a tortoise, a Mojave rattlesnake, and a Gila monster. The winding trail also features information plaques along the route about the local fauna and flora, like the cholla, the prickly pear, and the Joshua tree, as well as spectacular panoramic views of the city. The trail is 1,800 feet long and ends in a pretty covered pavilion with a picnic table for fun days with the family. 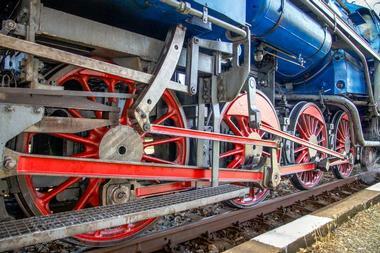 The Nevada Southern Railroad Museum is a family-friendly museum dedicated to showcasing the history of the railroad system in Boulder City. Operated by the Nevada State Railroad Museum, the museum is set on the tracks that were laid down by the Union Pacific Railroad to service the Boulder Dam project and features a passenger platform, four operational diesel locomotives, three steam locomotives, and a variety of non-operational equipment that has been cosmetically refurbished for static display. Visitors can enjoy rides on wheelchair-accessible open-air cars or air-conditioned and heated Pullman coaches as well as model railroad displays and 7½" gauge trains on the weekends. Papillon is an adventure company that offers a range of helicopter tours over the Hoover Dam, Lake Mead, and the Black Canyon. Experience the awe-inspiring Hoover Dam, the Mike O’Callaghan–Pat Tillman Memorial Bridge, Lake Mead, and the Black Canyon from the air with spectacular aerial views on a Hoover Dam Heli Tour, which covers around 10 miles at 2,500 feet above the ground. Lake View Heli Tours fly over beautiful Lake Mead, while the Black Canyon Heli Tour takes in the incredible sights of Lake Mead and Hoover Dam and heads down the Colorado River towards the Black Canyon, which is renowned for its dramatic chasms and emerald coves. Papillon is the oldest Grand Canyon helicopter sightseeing company and operates the largest fleet of sightseeing aircraft in the world. Each helicopter features air-conditioning, multi-language narration, and state-of-the-art in-flight passenger-to-pilot communications. Railroad Pass Hotel & Casino is a famous hotel and casino complex in Henderson, Nevada, with over 12,000 square feet of gaming space boasting 309 slot machines, six game tables, and a sports and race book. Named after the historic Railroad Pass, the Railroad Pass Hotel & Casino opened in 1931 and is the longest-running casino in the United States. The hotel offers modern accommodations, has three excellent restaurants that serve a variety of cuisines, and is situated next to the trailhead for the River Mountains Loop Trail. Attractions near the Railroad Pass Hotel & Casino include the Clark County Museum, the Hoover Dam, the Southern Nevada Railway, the Grand Canyon Skywalk, and the FlightLinez zipline. 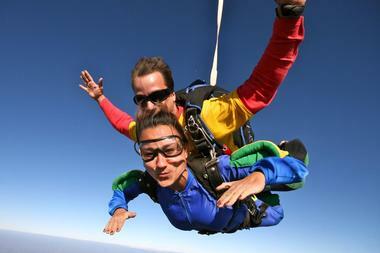 Skydive Las Vegas offers incredible skydiving experiences for both beginners and advanced skydivers. The most significant and longest-running skydiving center in Nevada, Skydive Las Vegas has been taking people to the skies for over 25 years and focuses on providing first-time skydivers with unforgettable experiences. The drop zone boasts breathtaking views of some of Nevada’s top attractions, such as the Hoover Dam, the Colorado River and the Black Canyon, Lake Mead, the bright lights of the Las Vegas Strip, and the verdant golf courses of Boulder City. Safety is a priority and students are shown a short video and have a brief training session with a highly qualified and licensed tandem instructor to whom they are then attached securely through a dual harness system for the jump. 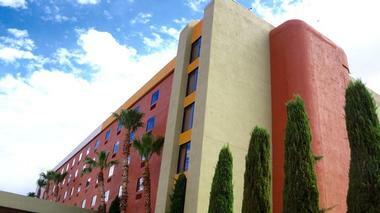 Skydive Las Vegas is open every day all year round, and free transportation is provided from the Las Vegas Strip. The World-Famous Coffee Cup Café is a family-owned and managed coffee shop and restaurant that serves delicious breakfasts, light lunches, and superb coffee throughout the day. 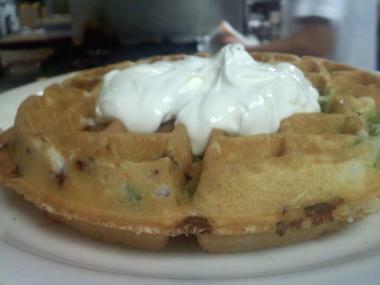 The friendly, inviting café serves a menu of freshly prepared, made-to-order fare, with favorites such as eggs and bacon, omelets and burritos for breakfast, and gourmet sandwiches, hearty meatloaf, chili, roast beef, fresh salads, and sides for lunch. The café is comfortably furnished with bright décor and the walls are adorned with sports paraphernalia, photographs, and other unusual items. There is a range of World-Famous Coffee Cup Café merchandise available for purchase. The World-Famous Coffee Cup Café is open for breakfast and lunch, 7 days a week. Tom Devlin’s Monster Museum is a unique combination of museum, costume shop, and repository dedicated to fantastic creatures, zombies, and monsters. 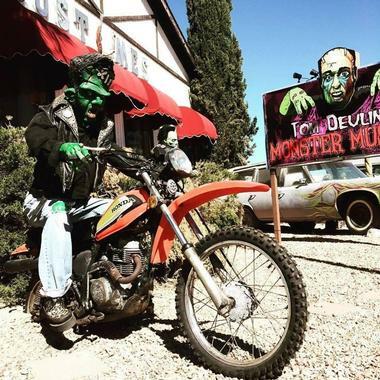 Owned by special effects makeup artist Tom Devlin, the museum was established to educate the public in the art of makeup effects and features a variety of exciting, odd, and scary items and horror film objects, such as a dinosaur sculpture, a purple hearse, and a zombie Spider-Man. Visitors to the museum are taken on a tour through time with Devlin, who chronicles his passion for creating zombies, and with monsters from his earliest childhood inspirations like the Teenage Mutant Ninja Turtles and Toxic Crusaders to some famous current modern movie horror characters. VORE Adrenaline Compound, also known as the Vegas Off-Road Experience, offers exhilarating and exciting off-road experiences in the desert around Boulder City. The company offers a wide range of packages, courses, and tours for all budgets, including Raptor and racing programs, desert tours, Mustang and UTV programs, short classes, and corporate packages. 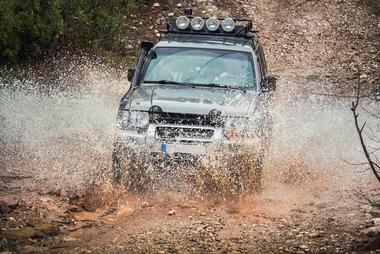 All tours and packages are managed by professional off-road instructors who highlight safety features, focus on operation instructions, and provide a walk around the racing track. Popular packages include Jump & Drift, the Five-Lap Course, which is perfect for beginners, and the Desert Tease Tour & 10 Lap Short Course Combination. 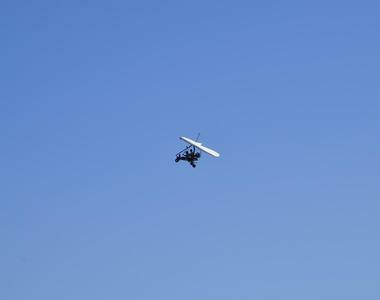 Vegas Trike Flights offers a fun way to see the Hoover Dam, the Black Canyon, the Colorado River, and Lake Mead from the air on a powered hang glider. Scenic tandem flights and flight training for solo trips are offered in an impressive fleet of aircraft, which are used for both flight training programs as well as introductory flights. Introductory flights over spectacular Lake Mead or the massive Hoover Dam can be enjoyed with one of their professional flight instructors, who ensure the highest safety standards and share their knowledge and expertise throughout the flight. Vegas Trike Flights offers three pre-defined routes from which to choose as well as customized routes on request. Boulder City River Riders is a family-owned and operated business that offers a variety of ecotours on the Colorado River in the Black Canyon and on Lake Mead, including kayaking, canoeing, and biking tours. Explore the scenic Black Canyon by kayak or canoe or enjoy a combination of mountain biking and paddling adventure with the Surf and Turf Tour, which features a mountain bike ride in the desert followed by a paddle on Lake Mead. Tours are led by professional river guides who have expert knowledge about the river and surrounding canyons and safety equipment is supplied, including life jackets. Boulder City River Riders is an eco-friendly company that leaves no footprint. The Boulder Dam Brewing Company is a friendly brewpub and beer garden that produces a variety of craft beers and brews in a comfortable atmosphere with live music. Located just a few miles from Hoover Dam and Lake Mead, the Boulder Dam Brewing Company serves a casual menu of all-American cuisine, such as burgers and fries, fresh salads, and other pub grub, accompanied by a range of European pilsners, hoppy pale ales, and rich, creamy stouts. The brewpub features modern industrial-style interiors with wooden finishes and dark hues as well as a welcoming outdoor beer garden that is a great spot for drinks in the summer months. 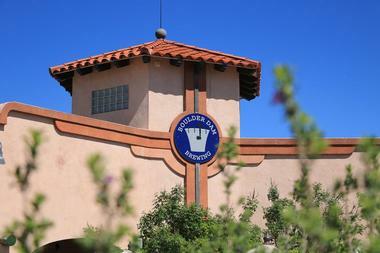 The Boulder Dam Brewing Company hosts live music throughout the week. 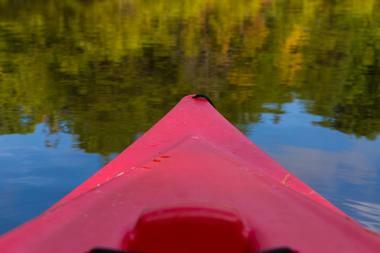 Evolution Expeditions is an adventure company that offers a variety of tours and excursions such as kayaking tours, wake sports, and trips to water parks. 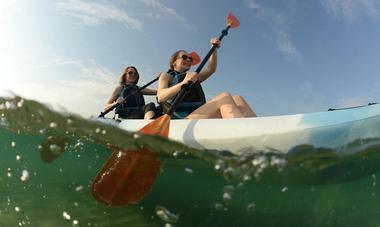 Guided kayaking tours take place in the Black Canyon, on Lake Mead, in the Emerald Cave, on the Hoover Dam, and the hot springs, and include complimentary shuttle service, visits to historical sites, wildlife viewing, bottled water, juice and snacks, a catered lunch, and a professional guide. Other adventures include sunrise and sunset wakeboarding sessions or all-inclusive trips to water parks, and the kayaking tours are suitable for all ages and all levels of kayaker, from beginner to advanced. Gunship Helicopters offers a one-of-a-kind adventure that allows guests to experience an open-door, low flight helicopter tour over a private shooting range through the Mojave Desert while shooting at targets on the ground. The Gunship Helicopter outdoor shooting range covers over 70 acres through some of the driest deserts in North America and features several AR500 steel targets of varying configurations, which are designed to improve shooting accuracy and challenge reflexes. 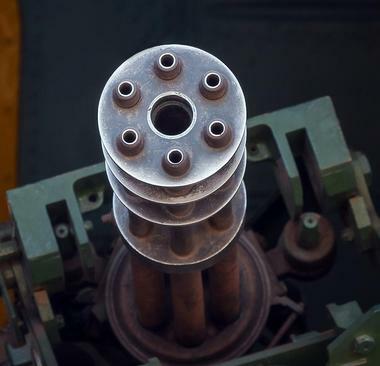 Guests can choose from an AR-15 semi-automatic assault rifle or a belt-fed M249S SAW to aim at the targets while flying at high speed. Shooting packages include free shuttle transportation to the range, ground simulation and a pre-flight mission briefing, access to the shooting range and shooting at 20 targets in a simulated tactical environment, a flight suit, and eye protection.